I recently participated in a doctoral candidacy exam recently (a student who asked me to sit on her committee, but whom I’m not directly supervising), abd my participation prompted me to reconsider what and how I teach my doctoral students. I reflect on this issue frequently because I am really trying to improve how I supervise undergraduate and graduate students. That’s also why I generate resources for graduate students, including my recent post on how to develop good research questions. I am reading so many books on how to conduct research and write a doctoral dissertation for the same reason. 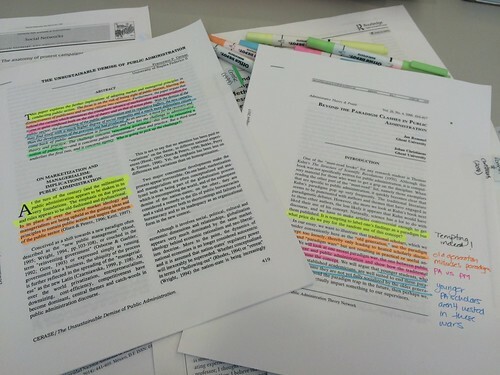 Because I have students at all stages of the dissertation, I have started paying more attention to how students (mine and other professors’) communicate their research to different audiences and how they demonstrate their command of the literature and the elements of their research. I came up with the following main 5 questions that a graduate student, particularly a doctoral candidate (or a student wanting to advance to candidacy) should be able to answer about their own research. Graduate students: 1) What is the system you're studying 2) What problem are you seeking to examine/explain/explore? 3) What scale are you working at? 4) What's the unit of analysis? 5) There is a difference between data COLLECTION and data ANALYSIS, and you SHOULD know it. Boundaries of the system under study: What system are you studying and where does it start, and where does it stop? In determining the boundaries, we also need to consider geographical boundaries, but also analytical boundaries - what are you analyzing and what are you NOT analyzing and why. The problem, issue, puzzle. What problem are you seeking to examine/explain/explore, and why? Why is it a problem? Is it an issue that needs to be addressed through societal interventions? Is it an issue that requires strategic action? Why is the problem worth studying? Analytical and scalar architecture: What scale are you working at? Are you studying phenomena at the neighbourhood, community scales, local governments, individuals, federal systems? Are you analyzing cross-scalar dynamics (e.g. the relationship between federal and local systems)? Unit of analysis: What exactly are you studying? Is it a city, a country, a region? A community? Individuals within the community? Is it a case or a series of cases? Which actors/phenomena are you focusing on? Data collection and data analysis methods and methodologies. There is a very clear difference between data COLLECTION (and types of data) and data ANALYSIS (and methods of analysis), and you SHOULD know it. Now, depending on how universities do their candidacy exams, many will include comprehensive exams AND proposal defense within the same event/meeting. The one I attended was exactly like this, so I now want to turn to a discussion of what a doctoral student should be able to do at the proposal defense/candidacy exam. Whether these are combined events or separate, the same reasoning applies. Committee members should be able to ask the candidate to move laterally (and have mastered works from literatures related to their problem) & vertically (be able to discuss in depth works focusing on a specific topic). In the case of vertical movement, the topic of discussion must be part of the body of works that are included in candidate comprehensive exams. 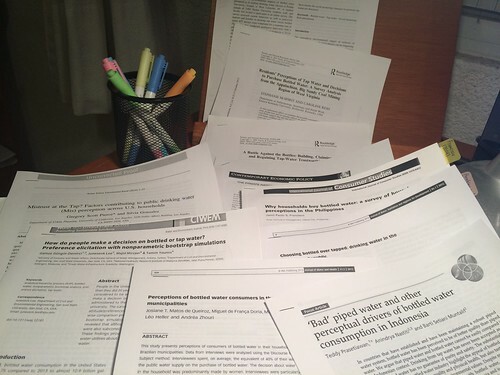 My concern for my own students’ mastery of the field(s) they work led me to writing a blog post on how I approached preparing for my doctoral comprehensive exams and another one on how I map out a new field of scholarship until I find a gap. The gap in the literature: How do we identify what we are contributing to scholarship? One of the main issues I’ve seen with doctoral dissertation and with graduate students in PhD programmes is that they have a really hard time identifying their contributions, whether minor or major. To identify these gaps, it’s important to conduct a thorough literature review, although as I’ve written before, how many sources a student or scholar need to read in order to find a gap in the literature varies enormously. What I recommend is reading and doing citation tracing until reaching conceptual saturation. This includes doing forward AND backward citation tracing (who cites who, basically – mapping out the network of scholars and works who cite each other until they start repeating themselves and citing themselves back-and-forth). How does your work contribute to/build upon/challenge/disprove/correct scholarship on what we know about Phenomenon X? What do YOU add to what we know about Phenomenon Y? Establishing a thesis’ contribution to the literature/scholarship at large. Developing an innovative framework to analyze a phenomenon. Integrating literatures that didn’t dialogue before. Generating new data or collecting data that was not available in the present form. Choosing the exact dissertation topic should happen AFTER conducting a thorough literature review, identifying gaps in the literature, and choosing ways in which the doctoral dissertation contributes to scholarship at large. Earlier this month, while reviewing a book, I mentioned the 2×2 matrix that Dr. Michael Horowitz posted on Twitter. Hopefully this blog post will help both my own doctoral students and others find strategies to develop the core elements of their research proposal, identify a gap in the literature and build a doctoral dissertation that contributes to their chosen field, all the while maintaining their dissertation research manageable and narrow enough that they will be able to complete it on time and within the constraints of their possibilities. At the end of the day, it is my hope with this series of blog posts on the doctoral journey that PhD candidates will be able to easily identify the components of their research, before their doctoral dissertation defense. Tagged with finding a gap, literature review, PhD, PhD advice, PhD journey, research design, research proposal.